Problem #30 was solved on new ground: my first run through Project Euler was in rigid order of first to last ending at #25. The recent round of solutions mostly cover old ground, which works well for me by itself because it shows off how my code has improved since 2012. 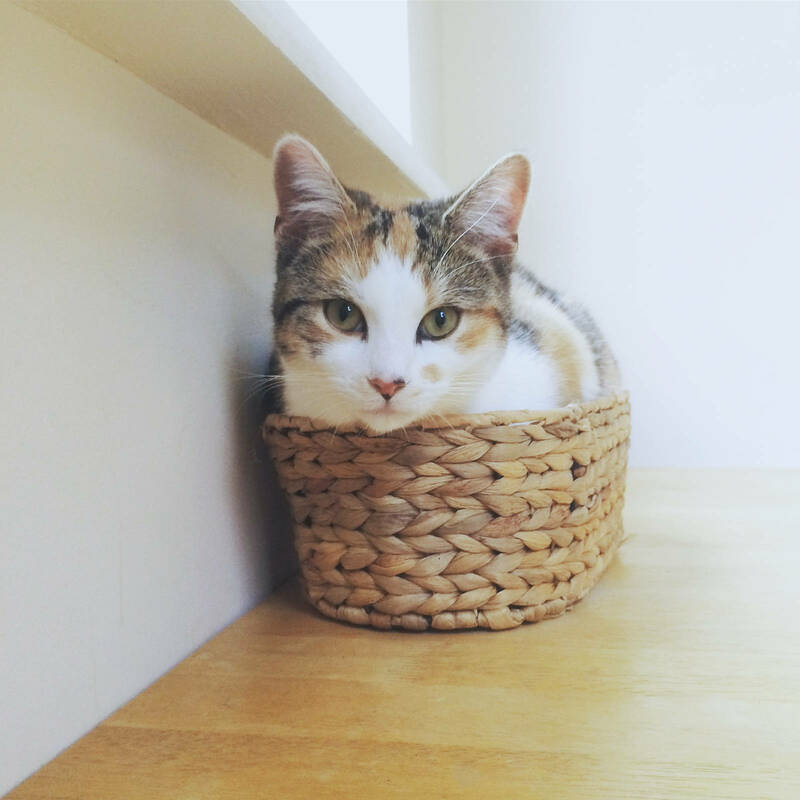 Also, the run of text post has led to a sharp reduction in cute cat photographs, so here’s one of Cookie in a basket. Find the upper bounds for the problem. Find the sum of appropriate numbers.